A game of pool has been proven to improve focus, physical health and even happiness levels, which is why it’s the new office lunch-time essential. If you’re still not convinced though, take a look at our top five reasons your office needs a pool table. It’s good for your mental and physical health. As we’ve mentioned in a previous blog on the health benefits of pool tables, playing pool is an effective form of exercise, exercising your muscles and burning calories. This is beneficial to your employees who will be fitter and healthier and also benefit you as an employer since a healthier workforce will take less time off – win-win. It helps to improve focus and boost mood. Exercise in general produces endorphins which boost mood, this means a quick game of pool can be the perfect pick-me-up on a Monday morning to boost motivation and moral. Pool specifically has been scientifically proven to improve concentration and build focus, meaning your employees are more productive and happy – what’s not to love? You want your office to be a positive reflection of your business and what it stands for. The inclusion of a pool table in your office will tell visitors that you enjoy fun, friendly competition and creativity. Not only does a pool table reflect well on your company’s image, it also gives your office a cool trendy vibe. As discussed in a previous blog, pool tables are in demand with trend setters, therefore the addition of one in your office will ensure you’re on trend and attract the type of client and potential employees you would like. It’s a great way to unwind. After a stressful meeting or busy day, a game of pool is the ideal way to unwind with a coworker. This will lower stress levels and help improve focus within the office, so that you and your employees will feel more at ease in the office and be able to produce higher quality pieces of work. A little bit of friendly competition, never hurt anyone. In fact it is a great way to motivate staff and strengthen their friendships, which will benefit both the happiness of the team and their ability to work together more effectively. 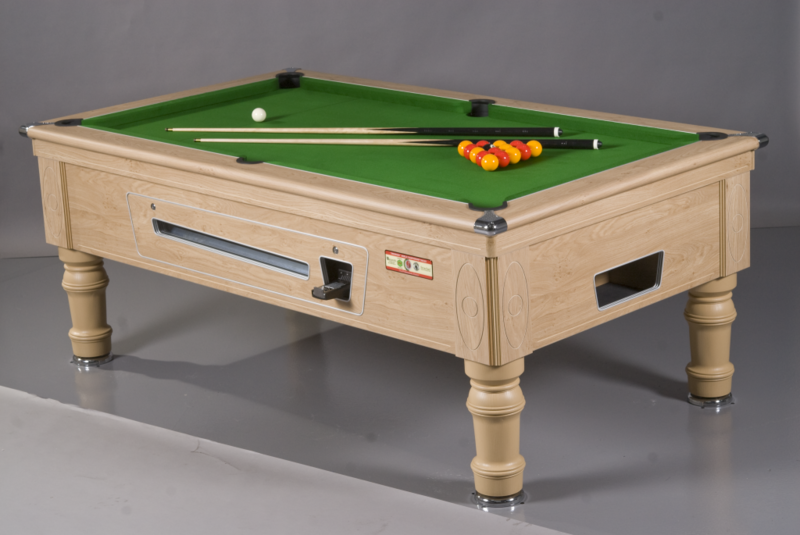 To look at our range of pool tables or talk to a member of our expert team visit our website.